For months now, my mom has been asking me to make her a piece of Michigan decor that she can hang in my parents’ new home. I found a silhouette sign of the Lower Peninsula in the craft section of a big box store that was a perfect blank canvas for this project. 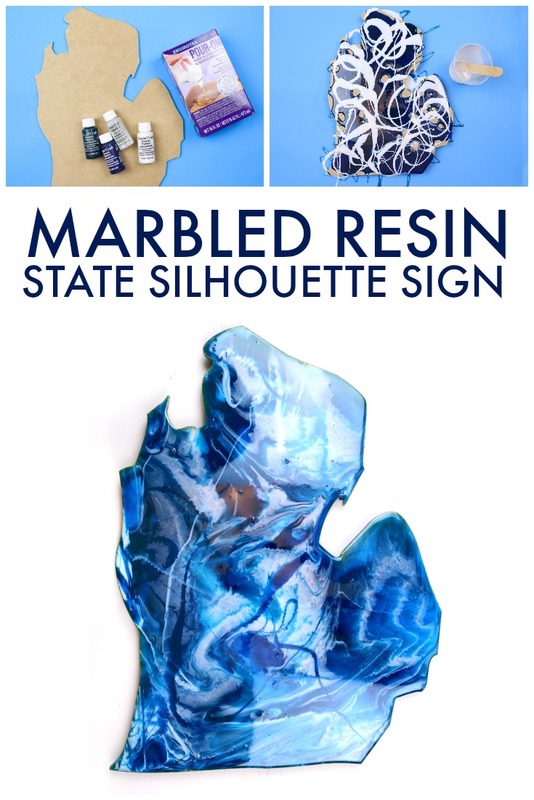 I used some colored resin to create a beautiful marbled resin state silhouette. I mixed 8 ounces of resin according to the directions in my package of EnviroTex Lite (4 ounces of resin and 4 ounces of hardener). 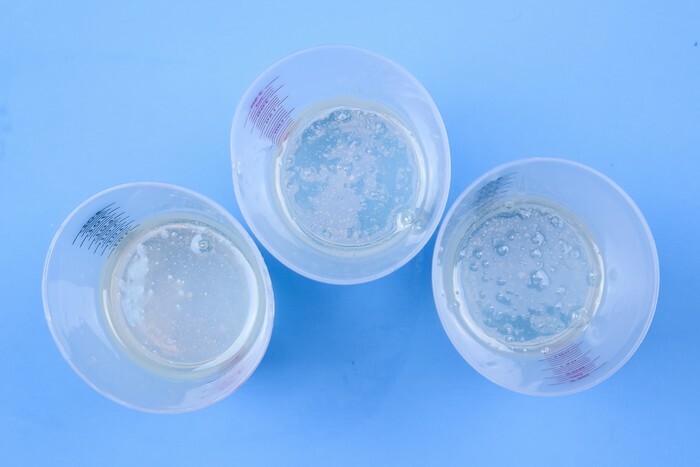 I then divided the resin among three additional mixing cups. 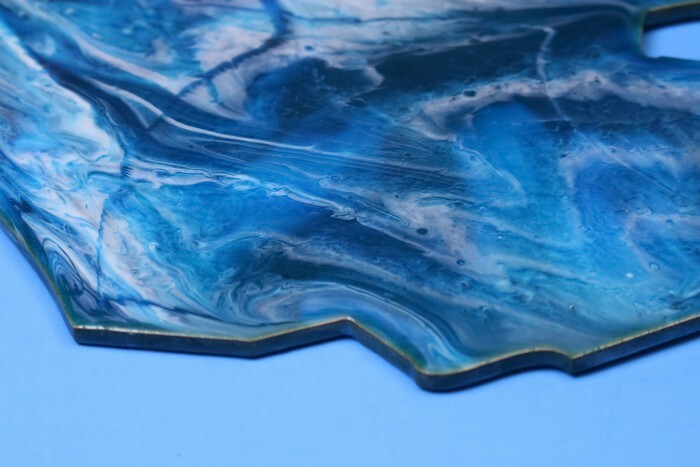 ince I didn’t want to mess with painting my wood state shape before adding the resin, I opted to use the opaque resin pigments instead of the transparent dyes. You can choose whatever colors you would like for your state sign. 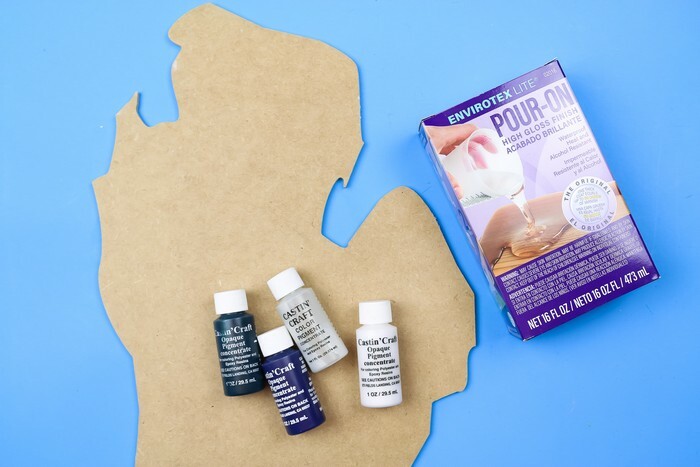 Since Michigan is known for its beautiful freshwater lakes, I chose white, blue, green, and pearl pigments to color my resin. Next, I elevated the sign on a few blocks of wood so that the sign would not stick to my work surface (which I made sure to protect with paper). 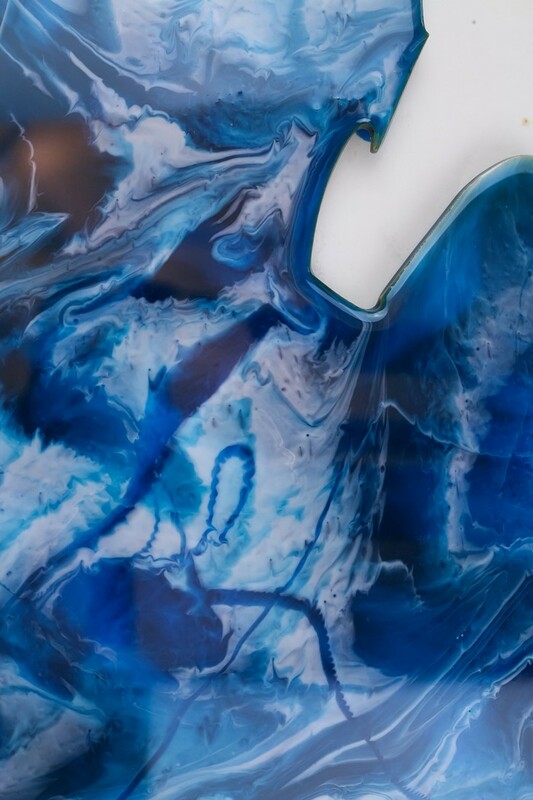 Then I drizzled the resin over the shape in swirls and lines. 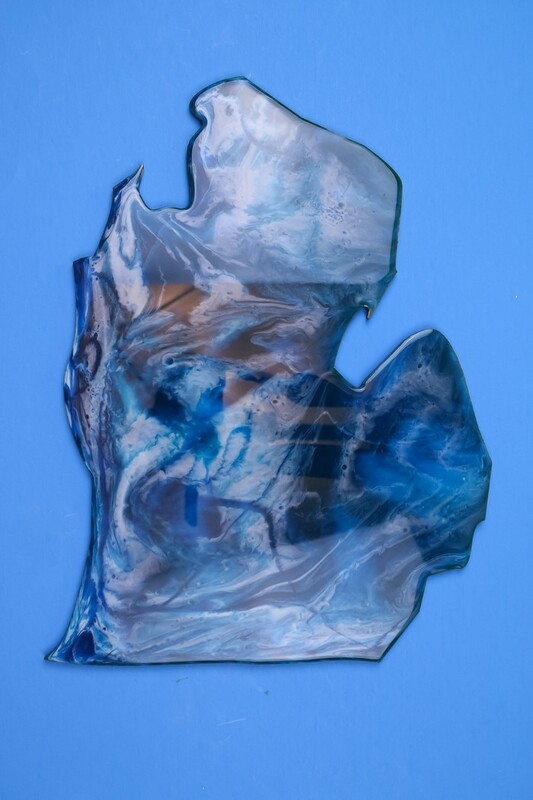 Be sure to work in small amounts so you don’t end up covering the bottom color completely with the top color of resin. Once I had some of the resin poured onto the sign, it was time to play. I picked the sign up with my gloved hands and tilted it back and forth. 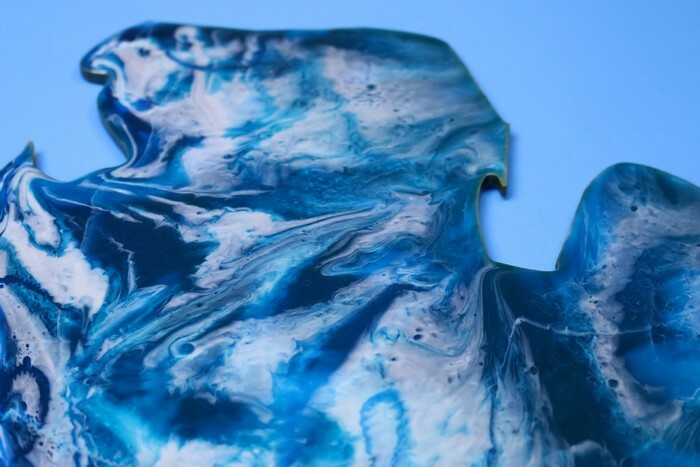 The resin slid and moved to create beautiful organic shapes and patterns. I kept tilting the sign and adding more drizzles of resin until I loved the way it looked. Take your time with this step. EnviroTex Lite has a nice open work time, so there is no rush. Then I placed the sign back on the blocks so the excess resin could run off of the edges. This is also a good time to use a paintbrush to brush the drips off of the underside of the sign. The resin cured overnight to a stunning, shiny finish. It just needs a sawtooth hook on the back of the sign so it can be hung on the wall. 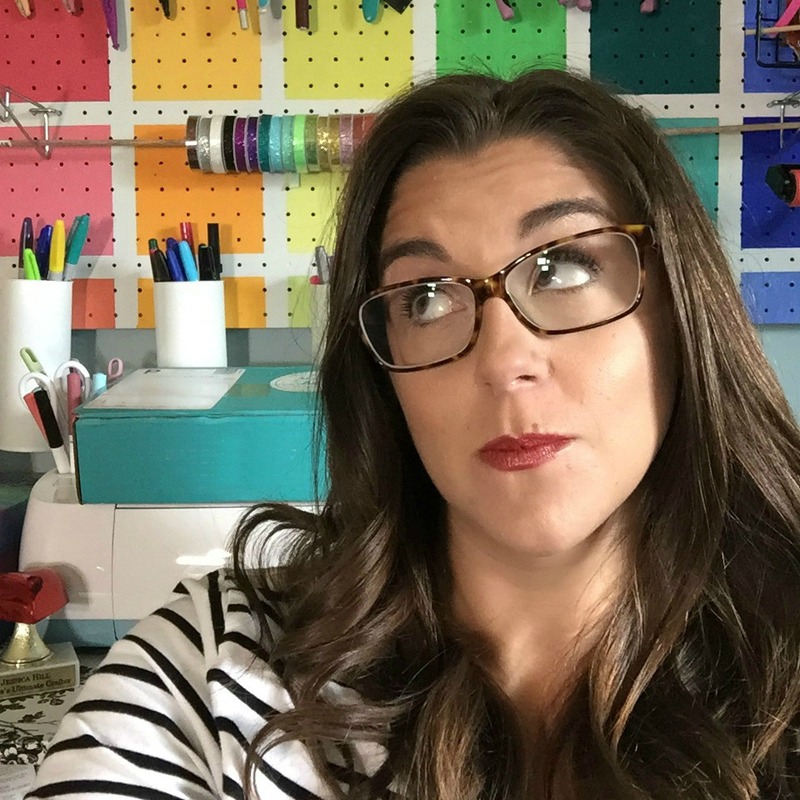 Jessica Hill is the creative mind behind the blog, Mad in Crafts. 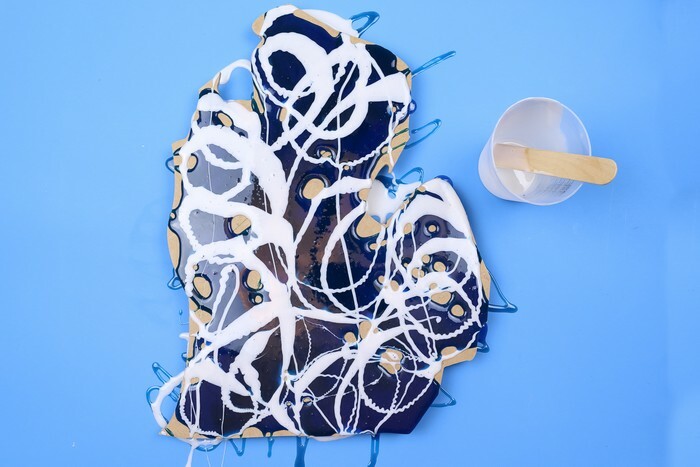 For nearly 9 years, Jessica has shared crazy good creativity from her Mad House to yours. When she’s not creating, Jessica loves the Detroit Tigers, craft beer, and spending time with her family and rescue dog. Where can I get the states to do this myself? I found my Michigan sign at our local Walmart, but you should be able to search Amazon for them as well. This is absolutely beautiful! It would even make a boring square shaped state look good. I’ve lived in some square states! They are beautiful too! It is so fun to do, and it produces beautiful results! Thanks for the comment!